Biological shaping and the contours of a barrel crown. 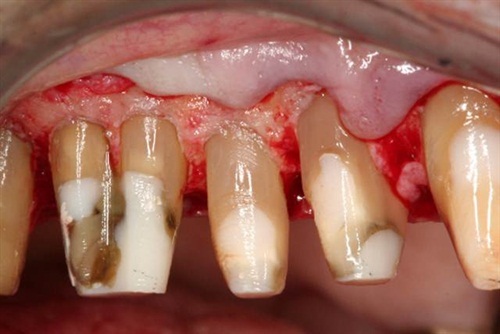 The point of it is to remove over-contoured areas of teeth and eliminate furcations so that they are cleansible. This is especially beneficial after some minor bone loss has occurred. It’s much easier to show this technique than to explain it so I’ve attached pictures I have come across. 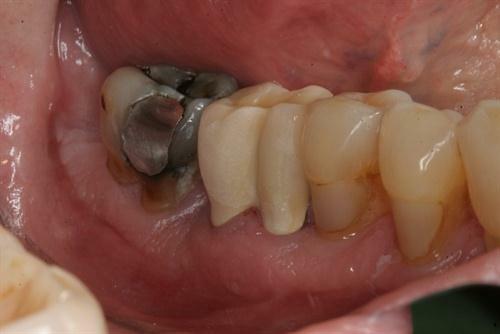 Many of these examples belong to Howard M Chasolen, a prosthodontist in Florida who teaches these techniques, and the “inventor” of this procedure Danny Melker. 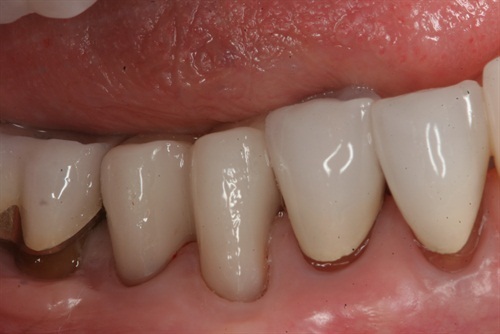 The first case is my own and is only done prosthetically, so is not true biological shaping in the sense that is is taught as a perio/restorative procedure. 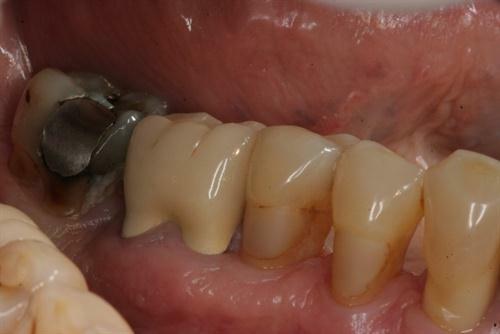 An OPEN flap shaping of the furcation is done on these cases. 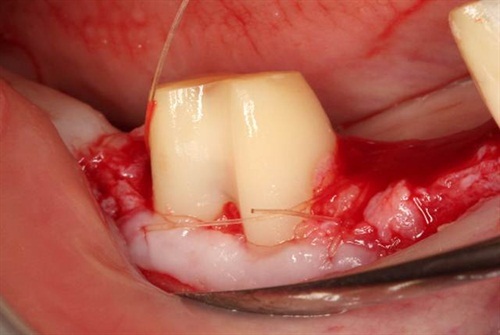 Graft the furcation closed with hard/soft tissue graft. 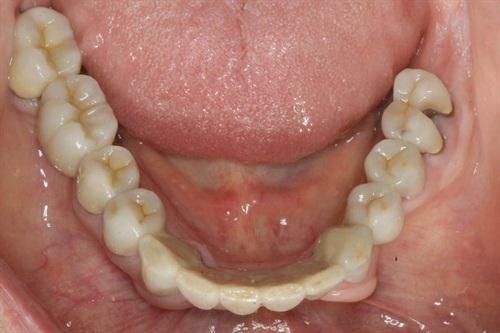 Remove the furcation via biologic shaping. Hemi-section the tooth depending on the conditions. Jameson LM, Malone WFP. 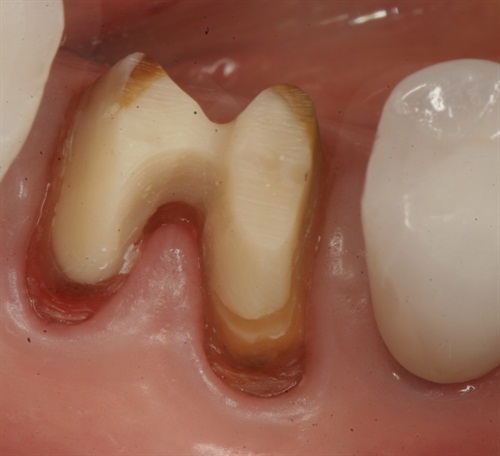 Crown contours and gingival response. 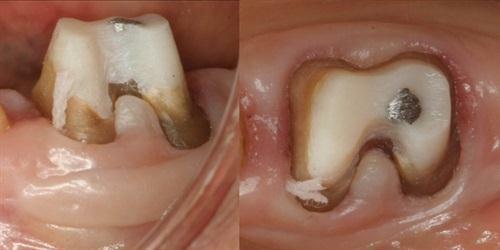 J Prosthetic Dent 1982;47:620-624.